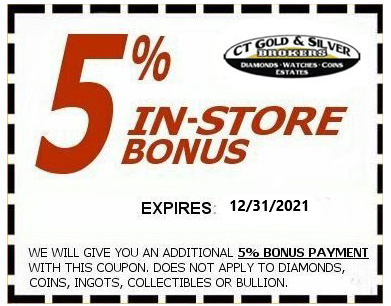 GET 5% MORE ON GOLD/SILVER JEWELRY! Coupon only applies to gold, silver or platinum jewelry purchased for scrap value. Does not apply to bullion, coins, collectibles, sports memorabilia, watches or designer items.